Theological Seminary at Gettysburg, PA. His ministry centers on Word and Sacrament, teaching, equipping the laity for service and leadership through programs such as Stephen Ministry and as Communion Stewards. 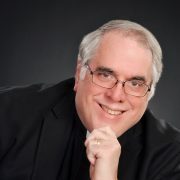 In addition to his ministry at St. Luke’s, he has provided part time interim ministry with St. Andrew’s Episcopal Church, Grand Rapids, MI. He is also interested in ecumenism and Celtic Spirituality. Pastor Dave is married to Judith M. Cole, a native of Buffalo and an artist. He is a father and a grandpa. His hobbies include winemaking, and Lionel trains. 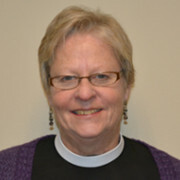 Pastor Marcy Miller is the new associate pastor at St. Luke’s Lutheran Church. 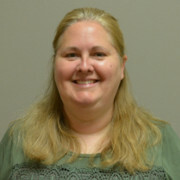 She has a B.A in Christian Education from Concordia, River Forest and received her M.Div from Trinity Lutheran Seminary in Columus, OH. She is also a trained spiritual director. 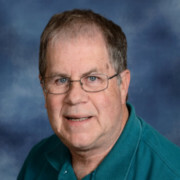 Pastor Miller served for 12 years at Ascension Lutheran Church in Kentwood and 8 years at Samuel Lutheran in Muskegon. Her areas of ministry responsibility at St. Luke’s include preaching, teaching, pastoral care, social justice ministries, evangelism, and youth administration. She enjoys reading, kayaking and biking in her spare time. She looks forward to being part of a dynamic leadership team at St. Luke’s. 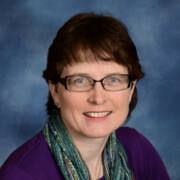 As the Minister of Spiritual Formation, Sharon draws on her Master’s degree in Christian Formation from Grand Rapids Theological Seminary and her years of church ministry to provide a range of opportunities for all our members, from the youngest to the oldest. She is a huge fan of providing inter-generational spiritual formation opportunities. 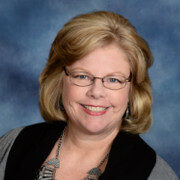 Sharon also provides classes, small groups, and various St Luke’s teams creative leadership and direction in the areas of prayer, study, worship, and service. Sharon facilitates spiritual formation groups, offers pastoral care and visits the ill and home-bound. She recently pioneered the creation of “The St. Luke’s Center for Spiritual Formation.” Sharon is married to John, mother to six adult children and grandma to seven goofballs. She lives in an 1860″s farm house where she enjoys country life, gardening, and bonfires with family and friends. 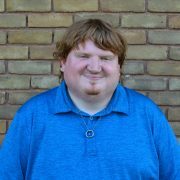 Jonathan leads worship and directs the band, plays both piano and organ, loves to sing, directs the choir, and so much more. 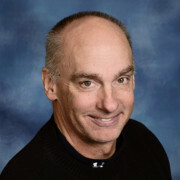 He is passionate about the worship ministries at St. Luke’s and desires all God’s people to be excited about worshiping God and free to express their love for him in worship and in their day to day lives. Jonathan is married to Melanie and they are blessed with three wonderful daughters. In addition to church ministry, he is involved in music in the community and can often be seen directing the Hark Up choir. In his free time he enjoys playing with his daughters and tinkering with computers. 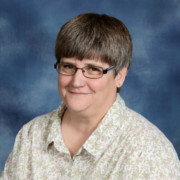 Jackie oversees the church’s many functions in an administrative capacity and serves as the communication hub for the congregation, staff, and leadership of the church. In her role, she wears many hats and sees that all the office support matters are addressed to support the ministry of the church. She is married to Tim and they are blessed with a wonderful daughter and son. In her free time, she enjoys Bible Study, fellowship with friends and family, and singing worship music. 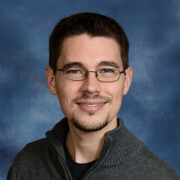 Josh has been doing sound at St. Luke’s for many years, and in the past years has begun to train and mentor youth into roles as sound techs and projection techs.